Sometimes I ask Philip what he’s hearing when he plays his own music, and he points out things that I as a non-musician would never notice. It makes me hear his work completely differently. It’s fascinating, and it’s a side of him most people never get to see. We thought it would make for an intimate and special sort of evening to have that conversation onstage, with a piano, at St. Ann’s Warehouse. 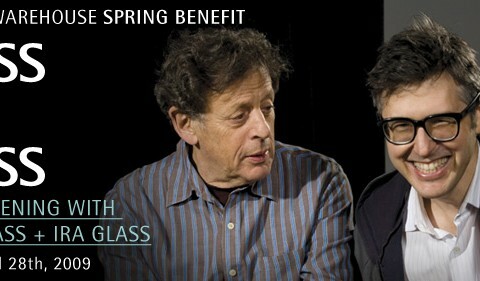 [Ira] Glass is a journalist but also a storyteller who filters his interviews and impressions through a distinctive literary imagination, an eccentric intelligence, and a sympathetic heart.